Becoming a Copywriter is not an easy job. Neither it is harder one to do so. Actually, it is an art to be called as the copywriter. That is why, this is going to be a full fledged post on How to Become a CopyWriter. BTW, copywriting is not about “copyright” and it should not be taken by as the same definition. And if you have that DARE to become one, then hop on to reading this article in the full length. 1.1 What is copywriting in the reality? 1.2 So, how to become a copywriter? 1.4 Who gets to hire you, the copywriter? 1.15.1 Do you need a degree to be a copywriter? 1.15.2 How do I become a freelance copywriter? 1.15.3 How can I improve my copywriting skills? 1.15.4 How much copywriters get paid? 1.15.5 How do I get a job as a copywriter? What is copywriting in the reality? 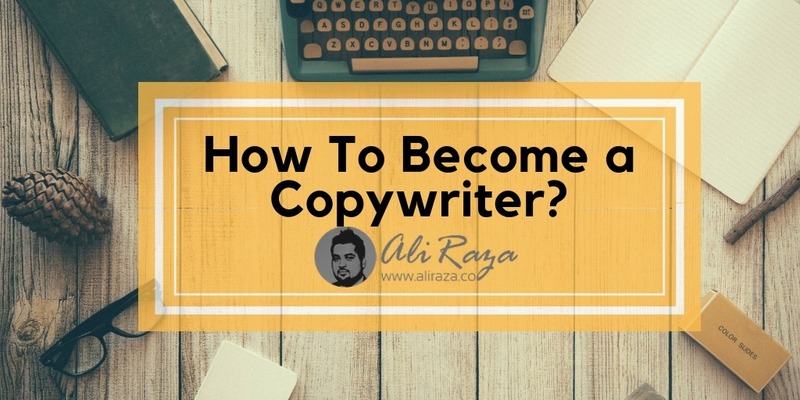 It is the very first phase to understand what copywriting really is before going straight towards the core point of; how to become a copywriter. Copywriter’s job is to create the words to compel people to buy. Copywriting is not just about the plain writing. It has to be compelling, and upselling worthy. Just take that the hired copywriter’s job is to write the marketing material in a way that is inclined towards the human psychology to induce the power of selling. The marketing materials include the brochures, advertisements, websites, emails, product descriptions and many more. It falls under the natural duty of a copywriter to make anything the sell-worthy. So, how to become a copywriter? Copywriting is the self-taught skill. It does not come itself to you by taking a class, reading a book, doing an online course, or by doing any other thing. It is the natural skill. You gotta act like the “salesman over the internet” because for being the copywriter, you have to make things up for the people to have them take the action. The desired action that copy is written for. Fret not. Fret not for a moment if you are not a sales-kinda man. You can definitely become a good copywriter with learning and practicing. Just keep following this article. Oh… Oh… Wait a second…! I had already said it is the natural skill. It comes right from you. None of the qualification is required and even necessary which can make you a copywriter. It is same like how you talk with the people. So, that “talk” thing is something you have not learned from anyone but by your own self. And as such in the case of copywriting, you have to decide over the tone of your copy depending upon your target audience and the surrounded environment it has to serve within. But still, your copy improves as the time flies and with good practice. Learn from other copywriters and NOT COPY them but make your own voice into the market that SELLS. Who gets to hire you, the copywriter? Every single person, company, and everyone who has product(s), service(s), everything and anything up for sell. They need the copywriters the most. As such agencies are responsible of handling the most of the marketing-related materials to be airing online and offline including newspapers, TVs, magazines, and etc., they are the right candidates for the best copywriters in the both situations, whether to take the services of a copywriter through online or offline means. “Book packagers” are the right candidates for you to enroll into their freelance copywriters’ team because they need you for writing, then editing, designing, illustrating, and publishing the textbooks for their clients. Though the role of a copywriter are not shown to the public in many cases but they are the secret working machines to get the textbooks and related stuff rolling out into the world. And some of notable titles are into PR firms who take the assistance of a copywriter, includes Media director, Promotion director, and Public Relations director to ease out their responsibilities. You might be surprised by seeing the printing firms’ name out in the list who are one of the candidates to hire a copywriter. Yes, apart from just printing out the stuff and doing it mainly for the business, they do provide the service of creating the copy as well. Having a copywriter into the business and knowing the demand of the town, they can easily make the good brochures, flyers, panaflexes, billboards, leaflets, visiting cards, and anything to serve their best purpose. So, it is the best chance for you to use your copywriting skill in your local market to maximize your copy’s impact. As the businesses are booming all around the world, no one is out of the chance to not have consultants tied with their businesses. You certainly know the job of a consultant, right? They do the analysis, forecast, future trends, and any single thing to have their hired company to develop the business and understand the market’s need to align their wheels accordingly. The responsibilities of the production studios are to generate the televised commercials to anything that go on the TVs and radios. So a copywriter is hired to produce the task from finish-to-start; from writing to every single detail that is included throughout the process. This is different, so different to take over the technical writing and that really is not a piece of cake for every copywriter. Are you thinking being a copywriter, you can do the Technical Writing? See that? TECHNICAL? Yes, it is not for me. I cannot do that at this point. .It is different type of being a copywriter for this field. Technical writing requires documenting every single technicality coming from any machine, computer, software, process, etc. Due to that one thing, the demand of the technical writers are all time high all around the globe. Design is not just a design without a copy. That’s the reason graphic designing firms do hire out the copywriters. Whether they need to find their firms a job or to fulfill the designing task, they need copywriter! Charity firms do have many managerial tasks to go through and are run as a business as well where many employees (based upon the budget) are tied working to run it. Such charity firms are required to run different type of campaigns to generate them fund and then comes the need of copywriters to fulfill their targets. Though it can be a voluntary task (for good gesture) but the copywriters can reach out to the charity firms themselves to offer discounts against their work. And the list does not stop here. Every business whether it is online or offline, they do need the copywriters at any and every stage of their business’ success. Copywriting is an art, and the self-learned skill. Learn your surrounding and sharpen your mind to think out of the box. Creativity is the centre-point of becoming a best copywriter in the market. Experience is earned by practicing. When you know you got an edge, have learned it good, and helped the folks around in the industry. It is then time to move on to the professionally as the freelancer. Create an account there and select “copywriter” or “copywriting” as the skill. Study the relevant copywriting profiles and the gigs to understand how they are doing on the Fiverr’s platform. Produce one gig based on your own creativity to have it sold heavily by using the impacting (and fair) copy. Based the price at the lowest (for the initial phase) to catch the clients BUT REMEMBER to NOT compromise on the quality, both from your gig and the service. Just NOT lose the quality and do not push for the sales. Freelancing is same like the real career which is earned gradually and slowly. Do you need a degree to be a copywriter? That depends on where you want to work. A minority of people are successful without a professional degree, but majority needs a degree to be successful. The rules are almost same. 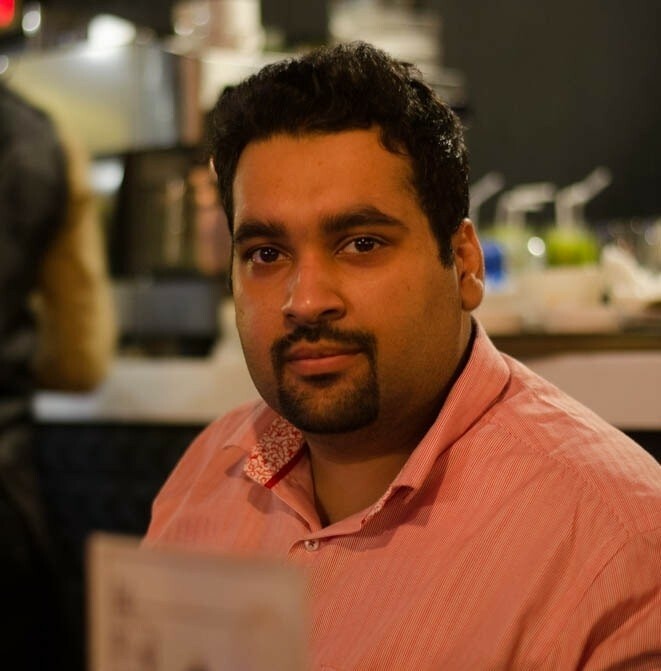 Checkout my guide on how to become a freelancer to get started with copywriting as your skill. Consistency, reading and keep on trying are the three main habits that can do wonders in improving your copywriting skills. How much copywriters get paid? As per dearenglishmajor, A new (trained) copywriter could make anywhere in the $25 to $35 per hour range, so you’re looking at beginning salaries between roughly $52,000 and $62,000. The nice thing, too, is that there’s plenty of room for growth and advancement. There are several ways you can get hired as a copywriter. You can try looking for job in newspaper or try your luck with freelancing sites. Copywriting is the sales-manning in many cases when it comes to developing the copy for the purpose of sales. So, get onboard your voice, and your words to serve the main purpose of your copy; convince and act. Let’s share your thoughts and the feedbacks about the topic; how to become a copywriter, in the comment section as I await for it. But remember…. Bring the impact with your copy. Good post. Its very useful to everyone who ever is in copywriting.